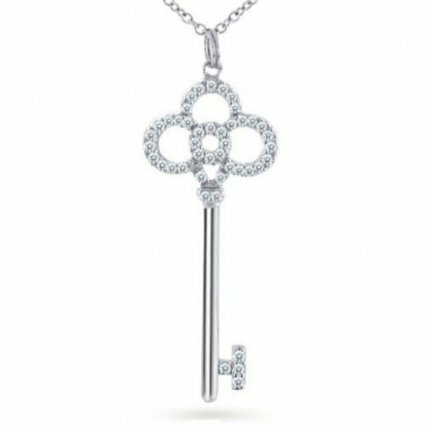 Gorgeous Cubic Zirconia Key Necklace Only $1.59 SHIPPED! You are here: Home / Great Deals / Amazon Deals / Gorgeous Cubic Zirconia Key Necklace Only $1.59 SHIPPED! Who wants a gorgeous, inexpensive necklace?? I have a GREAT one for you! Head over to Amazon where you can get this Cubic Zirconia Key Necklace for just $1.59 + FREE shipping! I LOVE THIS! I love how sparkly it is – totally grabbing this one!